You will need to provide accurate window measurements when ordering your custom-made blinds so we can manufacture them to fit perfectly to your window frames. Below a simple step-by-step guide to measure your Roller Blinds. – Don’t make any deductions; we will do that for you to ensure your blind fits perfectly. – Use a steel measuring tape and measure to the nearest mm. The measurement you need for your blind to fit inside the window recess. Ensure there is enough window depth to mount the blind inside the window. The longer the drop, the thicker the Roll when rolled up! A window depth from 70mm to 90mm (for long drop) is sufficient. Measure exact window width at top, middle, and bottom. Measure exact window height at left, middle, and right side. The measurement you need for your blind to fit the window architrave. Measure exact width from the outer edge of architrave to the opposite edge where the blind is to be placed. If there are no architraves, measure the opening and add 50mm each side (100mm total). Measure exact drop from the top of the architrave to where you want the blind to finish. Width: Measure exact width where the blind is to be placed from the edge of architrave to the other side edge of architrave. Drop: Measure exact height from the top of the proposed headrail location to the base of the sill. If there is no sill, measure to where the blind is to reach. Width: Measure exact window width at top, middle, and bottom. Use the narrowest width. Do not make any deductions – provide the exact measurements of the narrowest width. Blinds City will make the necessary deductions to accommodate for the headrail and mounting brackets. Drop: Measure exact window height at left, middle, and right side. Use Shortest height. Do not make any deductions – provide the exact measurements of the Shortest height. Blinds City will make any necessary deductions to accommodate for the height of the headrail. Depth: To install the product flush with the window frame, a minimum window depth is required. Please see table for minimum depth space. 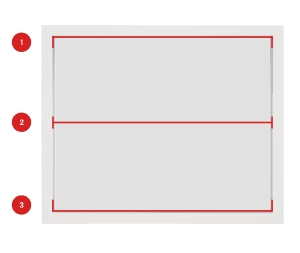 Width: Measure exact width where the blind is to be placed. Use longest height. Do not make any deductions – provide the exact measurements of the longest height. Blinds City will make any necessary deductions to accommodate for the height of the headrail. Depth: To install the product flush with the window frame, a minimum window depth of about 50mm is required. You will need to provide accurate window measurements when ordering your custom-made blinds so we can manufacture them to fit perfectly to your window frames. Below a simple step-by-step guide to measure your Venetian Blinds. – Use a steel measuring tape and provide exact measurements. First, ensure there is enough room for the blind to operate freely. 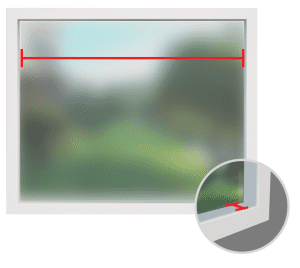 Check the measurement from the window –or window handles- to the front of the window frame. For a 50mm blade, a minimum of unobstructed 60mm depth is required. Width: Measure exact width from edge of architrave to the other side edge architrave where the blind is to be placed. Depth: To install the product flush with the window frame, a minimum window depth is required. 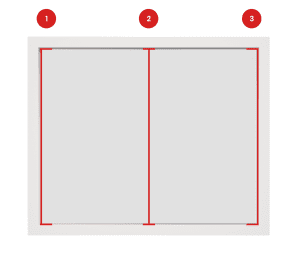 for 90mm slats at least 90mm minimum with no window latches and locks in the way and for 127mm slats you will need at least 90mm minimum also (when verticals are open it will stick out past the 90mm recess due to size of blade. Width: Measure exact width outside edge architrave to architrave. Then add minimum 100mm each side ( 200mm total to provide better light block ) If you don’t have the space required, then go to maximum width you can without any obstructions. Drop: Measure from the top of architrave to the floor we will make necessary deductions if touching floor. If measuring to edge of bottom architrave, then add minimum 70mm to drop. *Note: We recommend roman blinds to be fitted outside fit at all times, if fitting in recess it can drop in height and start to leave excess material at the bottom of blind. Depth: To install the product flush with the window frame, a minimum window depth is required. Width: Measure exact width from edge of architrave to other side edge of architrave where the blind is to be placed. then add minimum 30mm each side (60mm total ) for better light block. Note: Roller blinds have better light block for bedrooms then roman blinds do. Drop: Measure exact height from the top of the proposed headrail location to the base of the sill. If there is no sill, measure to where the blind is to reach. If measuring to bottom of architrave add minimum 70mm to the drop for better light block and if you have the space.